It’s always a treat to get a truly great gift. This Christmas, I got a pretty fantastic one. Actually, I got several. When I was a kid, my parents stressed to me the importance of putting real thought into gift-giving. I’m not always a great practitioner now, whether due to time constraints or whatever else. Sometimes I just can’t think of anything. Gift cards and cash, by the way, seem just as bad as giving nothing. What makes a gift great? Well, it can be a lot of things. Most often the gifts that impress me are the ones that betray unusual effort on the part of the giver. And those that are personal. I’m fortunate to have some epic gift-givers in my life, though. My mom is one. Kate is another. Example: Our first Christmas together, Kate made me a replica of Jayne Cobb’s cunning hat. 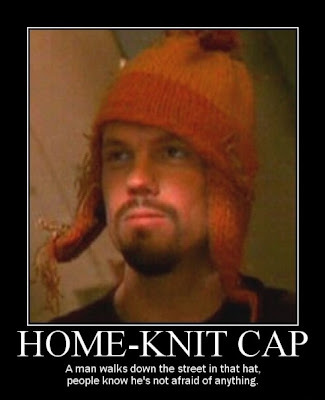 It wasn’t the first Jayne hat, nor the last, a clever knitter made, but it’s among the best replicas I’ve seen of the one Adam Baldwin wore in Firefly (having been to every Denver Comic Con and being a Firefly fan — I’m wearing a Browncoats shirt right now — I have a pretty good frame of reference). She didn’t stop there, though — she boxed it up in straw with a hand-written copy of the note Mrs. Cobb included with her gift to Jayne. It wasn’t just a hat, it was an experience — opening it was an event. Sadly, I’m not always good at showing my understanding of these facts and displaying the proper level of gratitude, but I’m trying. The level of effort made it a really memorable gift. Also, I like it so much that, even though I don’t wear it on a regular basis (I don’t want to wreck it or lose it, and it’s a bit warm most of the year), I have made a point of showing it off everywhere I easily can — it’s in my profile picture on virtually every social network and even on this site. Another way to give a great gift is to give someone something that they don’t necessarily need, but would use. Maybe something they don’t even strictly want, but couldn’t say no to. Something they would never get themselves. My parents gave me such a gift this year for Christmas — by now you’ve no doubt guessed what. It’s a Leica IIIc. Based on the serial number, it’s a wartime camera — probably made in 1944. It’s in excellent condition overall, with a few scuffs on the back and a little dent in the lens cap. It came with a Leitz Summar 5cm f/2 collapsible lens, similar (but in much better condition) to the one I tried on my FED-5c. The leather covering appears to have been replaced, and my mother reports that the eBay seller listed it as refurbished and working. The rangefinder and viewfinder seem bright and clear, so I suspect it has been. I ran it through a bunch of shutter speeds and tested everything I know how to test on a Leica. Unfortunately, I seem to have broken the shutter trying to load film. I followed the instructions everyone gives for trimming the leader and loading the film (concise description at Fedka.com) and the shutter suddenly would not fire. The film didn’t seem to have engaged the right gears, so I removed it and tried again, making sure it was engaging the sprockets, but no soap. I can advance the film, adjust the shutter speed, and press the release. The shutter sounds like it starts to release but it doesn’t complete its travel. As soon as I begin to advance the film again, the shutter completes its travel and then resets. Based on all I’ve read, a Leica shouldn’t just fail like that if everything is working in the first place, so my best guess is that something that worked dry-firing was on the edge of giving out, and the stress of working with actual film caused it to fail. Or, is it possible for mis-loaded film to break the shutter like this? Could a tiny flake of torn film have gotten jammed in just the wrong place? 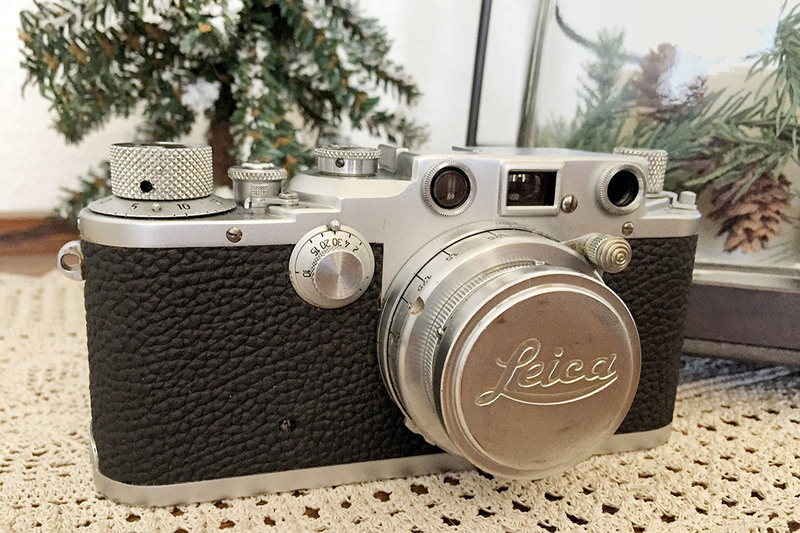 Any advice would be much appreciated — I’ve spend several hours Googling and can’t find anyone else having the same problem (well, one thread — but it devolved into a discussion among a bunch of serious Leica nerds about the shortcomings of wartime Leica materials and whatnot, and the problem was never solved). I think the best course of action may be to simply ship it out to Youxin Ye for a CLA, and any other repairs he deems necessary. At least then I’m assured that, assuming I don’t break it again myself, I’ll have a camera fit for decades of reliable service. Of course, just days after getting the camera, Hamish Gill posted his 7 Reasons you should own a thread mount Leica, and now I’m desperate to get out there and see for myself what all the hype is about, and I can’t. Thanks, Murphy. Again, a phenomenal gift — because I never would’ve gotten one myself. I fear the elitism that seems to come along with the Leica sometimes. I know they are good cameras, but far more great photographs have been made without a Leica than with one. We all know it’s the photographer, not the camera (or we should). But you can bet your sweet fanny I’m going to get a lot of use out of it, and learn to enjoy and appreciate the Leica for what it is. Spurred to an early announcement by my list of annual film photography events, my friends at 120 Love are currently accepting submissions for the Open Competition portion of their inaugural 120 Love Day. I was reminded the other day that I hadn’t submitted anything yet, so I resolved today to ready a submission. The event features two ways to join in — an Open Celebration with a Flickr group you can submit several images to, and a competition to which you’ll submit a contact sheet from a full roll (shot with medium format film, of course) including the bums, and a single finished image from the roll. I didn’t see any requirements as to when you have to actually make the photographs, but I chose a very recent roll anyway. 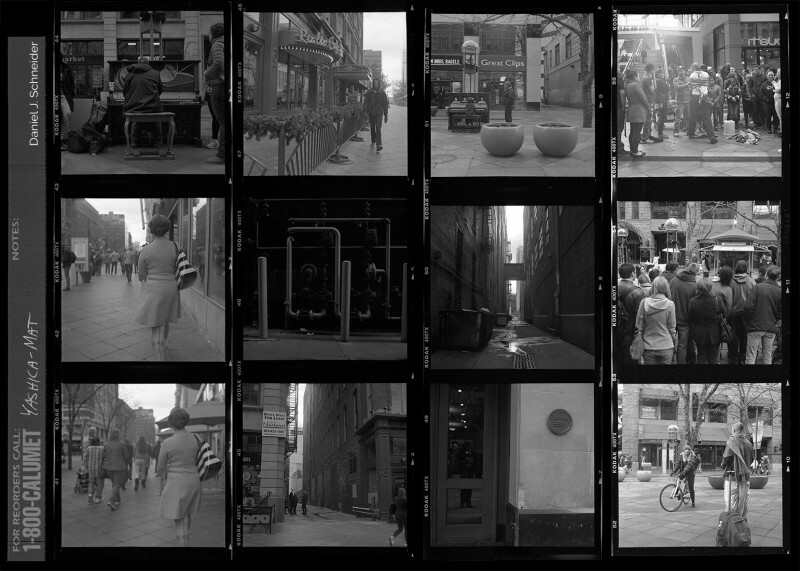 Contact sheets can be scanned negatives or a scanned traditional darkroom contact sheet. I went the digital route this time since I’m still a few pieces shy of setting up my home darkroom. Soon though! Kate hooked me up with a gift card to my favorite camera shop with “To be used only for darkroom supplies!” written on it for Christmas, and a great selection of pins, patches and stickers from Asilda. My New Year’s resolution, if I can be said to actually have one, is to end the year with at least a few competent darkroom prints, made at home, with my own hands. Above, you’ll see the contact sheet I’ll be submitting — it’s a roll of Tri-X I shot with my recently-acquired Yashica-Mat. It’s actually one of the first rolls I shot, though the Yashica-Mat hasn’t left my little camera bag since it went in. I just like the format and the camera so much! The whole thing was shot in a lunch break on Denver’s 16th Street Mall — one of my favorite first stops with a new camera. This roll actually features three images I am considering for the finished image in my submission — frames 1, 4 and 5. Frame 1 isn’t quite as sharp as I’d really like. Frame 4 has about ¾ of a young woman walking oddly out of it in the lower right. Frame 5, I think, is technically good but not inspiring. I’ll probably go with frame 1, but I’m still debating. I’ll submit as soon as I’m a little more certain. If you’ve got a medium format camera, you should join me.